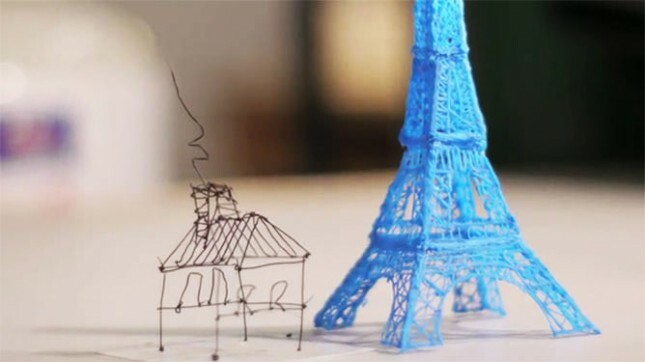 Home › Tech News › 3doodler Knows How To ‘Draw’ Lots Of Attention. WobbleWorks Creates Sketch Up, In A Pen! 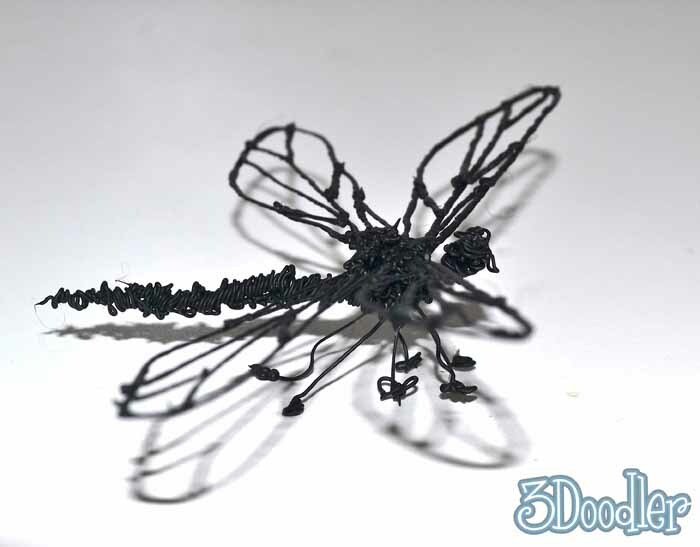 With 3D Printing making its way into the consumer market, it comes as no surprise that innovation is already happening, and it comes in the form of 3doodler. It’s a pen…that 3D Prints! Tell me you’ve never wanted a doodle to literally jump off the page. With no need for a degree in 3D Architecural Design, all you need is a little bit of imagination and the sky is the limit. As you draw, heated plastic comes out of the bottom of the pen like ink, the plastic then quickly cools and solidifies into a strong stable structure. At just 3 days old the Kickstarter campaign for the 3doodler has eclipsed its original funding goal of $30,000 and the guys at WobbleWorks are hinting at add-ons and accessories they have ideas for, which will be announced in the near future. For a $75 pledge on Kickstarter you can net yourself a 3Doodler pen and two bags of mixed coloured plastic by October of this year. Or if you are feeling generous, pledge for $10,000 and you will get “Full 3Doodler pen AND membership to an exclusive beta tester mailing list for all future WobbleWorks products! PLUS spend a day at WobbleWorks (travel not included), explore the workspace at the “Artisans Asylum”, join the creators for lunch and dinner, and receive a signed or engraved 3Doodler!”. Even if $75 dollars is out of your budget, this is a project that is well worth seeing the light of day, so for the minimum pledge of $1, you will be a contributor to a piece of innovative history. 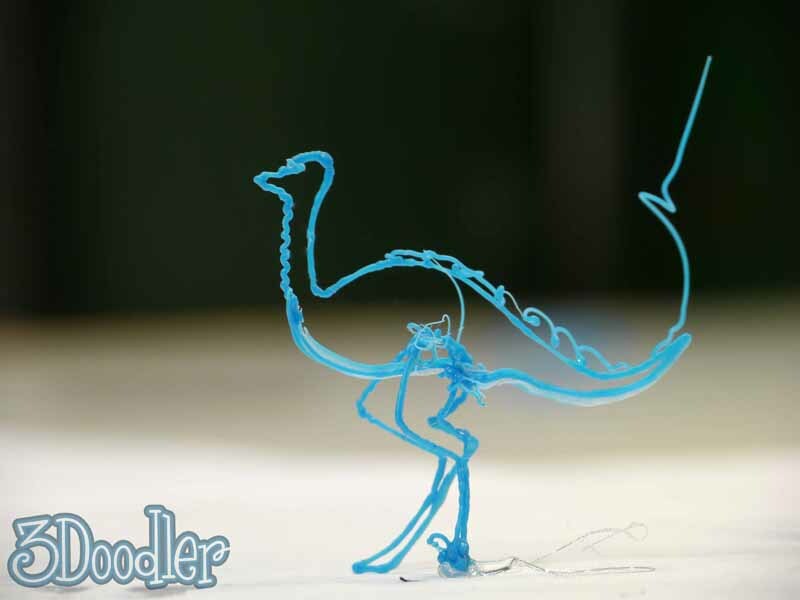 If you had a 3doodler in your hand right now, what would you create? Let us know if you’ve seen any other amazing Kickstarter campaigns that the world should know about in the comments too. ‹ Just Upgraded To The S3? Great News, It’s Obsolete!